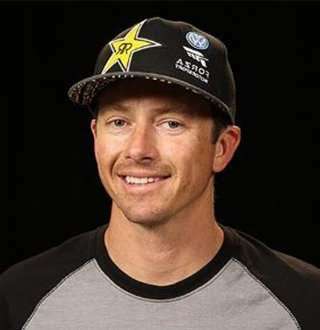 Home » Sports » Tanner Foust Obscure Wife & Gay Rumors, Has A Daughter - With Whom? Professional racing driver Tanner Foust might be enjoying a smooth career ride, but how is he holding up with his personal life now that it has come to the limelight, that he has a daughter? Tanner Foust is quite known for competing in rally, drift, ice racing, time attack and rallycross with several national championships and world records. He has been a co-host of the American version of the motoring television series, Top Gear. As a passionate car racer, Tanner owns different cars including the 2015 Volkswagen GRC Beetle, the 2015 Volkswagen WRX Polo, the 2015 Volkswagen Drift Passat, and the 2017 Polaris RZR Turbo. Born on 13 June 1973, Tanner Foust spent many years in Scotland where he discovered rallying at a young age and learned to drive on the country roads near his home. He spent his summers at the track and traded seat time in race cars for mechanic work. Tanner, age 45, soon started working as an ice driving coach and competed in anything he could, be it rally or drifting that took him to become a professional racer in 2003. As a professional racer, Tanner had a swerve in his career path as he became a co-host of Top Gear that has been picked by the History Channel. As he started appearing on screen, he soon hosted shows like SPEED Channel’s SuperCars Exposed and ESPN’s Import Tuners. The car racer has competed in many rallies and 2010 at X Games XVI; he even won gold in Rally Car Racing and Rally Car Super Rally. Becoming the first American to compete in the European Rallycross Championship, Tanner made himself known as a regular ERC competitor, taking part in all the rounds of the FIA series. So considering all his contributions and achievements, it might not surprise you to hear that Tanner has got an estimated net worth of $1.2 million. Tanner Foust Has Wife Amidst Gay Rumors But Who Is She? While Tanner is especially good at hiding the details of his personal life, it did come to the spotlight once, that he had a daughter. You saw that right, the car racer has got a 13-year-old daughter, and no one even knew about that. Well, that’s because Tanner has been more than strict over himself in an attempt to hide that information and boy has he succeeded in doing so. The only thing that is out in the open is that he has a daughter; he has never once mentioned his wife or his daughter’s mother. And while Tanner hasn’t been known to have too many flings, he is often linked with sports reporter Katie Osborne. And why wouldn’t they? The two frequently post pictures with each other from and they look absolutely adorable. That has people wondering if she is the racer’s wife. You Don't Want To Miss: Fox News Greg Gutfeld's Wife & Married Moments Will Kick Gay Rumors Away; It's That Strong! It would be one thing if they only posted pictures of each other while wishing the other one a happy birthday, but they actually go out together; so there might be something going on between them. And taking a look at Katie’s Instagram feed, she seems to have a significant amount of interest in cars as well. Now that makes people fall into the assumption of her being the perfect wife for Tanner. 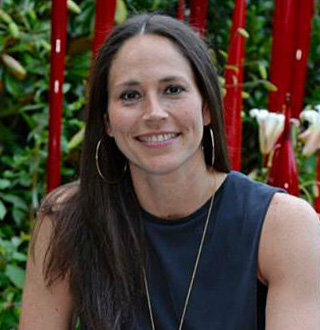 While his connection with Katie remains hazy, the fact that he is even linked to her has kept him away from diving into the speculations of him being gay. In the end, here’s to the hope that Tanner feels comfortable enough one day to share his daughter and wife’s identity to the world. Kristina Pink Wiki: Relishing Love But Not Married, Why? 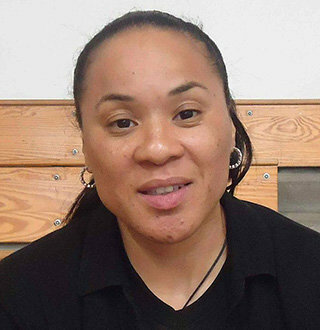 Dawn Staley Partner: A Single Lesbian For Everyone But Is She Really? Alanna Rizzo Bio: Unravel Age, Parents, Height & More | Who's Her Husband?